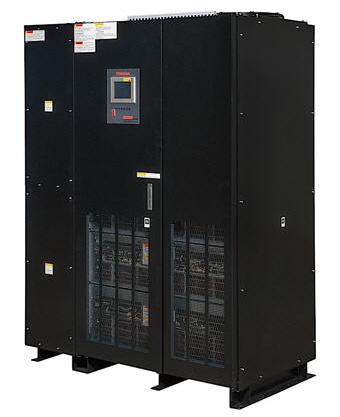 Toshiba UPS single-phase UPS models range from 1 to 22 kVA, while three-phase single module systems range from 13.5 to 2,000 kW, and three-phase parallel module systems are available in 90 to 16,000 kW. Toshiba UPS and battery systems are suitable for a wide range of applications including data-centers, telecommunication, retail, healthcare, broadcasting, and industrial. Over the years we've been instrumental in the introduction of new UPS Systems and we're currently the technical sales representative for Toshiba UPS Systems in: Ohio and Michigan. You can trust we've got the expertise for your next project - contact us today! 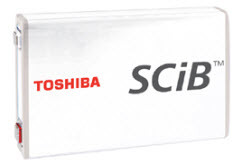 The Toshiba SCiB™ is a rechargeable lithium ion battery that can be charged and discharged by moving lithium ions through a separator between a cathode and an anode. Conventional lithium ion rechargeable batteries use carbon-based materials for the anode, while the SCiB™ uses lithium titanate oxide (LTO) to achieve superior performance in the areas of safety, low-temperature performance, long-life, fast charging and more. 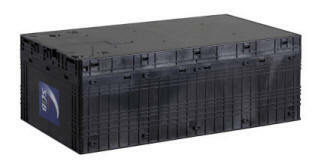 Toshiba battery modules consist of (24) SCiB™ 20Ah cells packed in a fire-resistant plastic case equipped with a cell monitoring unit (CMU) to monitor the voltage and temperature. 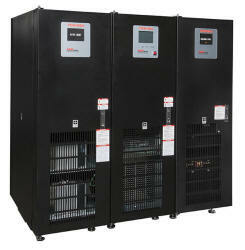 The Toshiba 4400 Series UPS is the next-generation three-phase UPS. The double-conversion, all insulated-gate bipolar transistor (IGBT) 4400 Series UPS features a digitally controlled IGBT input rectifier, an intelligent low harmonic pulse-width modulation (PWM) output, state-of-the-art electronic battery isolation circuitry, and an easy to navigate local touchscreen interface. The Toshiba NEMA 3R Solution is ideal for harsh and dusty environments such as water/wastewater, mining, manufacturing, pipelines, and transportation hubs. The NEMA 3R Solution is available with or without integrated battery storage and accommodate three-phase power input and output and utilizes all-IGBT architecture. The NEMA 3R rated enclosure is capable of withstanding operating temperatures from -10°C to 50°C. 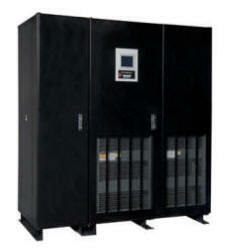 The G8000 Series UPS is widely used in the medical industry where power protection is critical. The G8000 Series offers unity power factor output which provides 20% more power than other UPS manufacturers. It is also 100% generator compatible, and its low input current harmonics eliminates the need for an oversized generator. The Toshiba G2020 Series UPS is one of the world’s first to utilize breakthrough silicon carbide (SiC) technology for improved performance. Advanced SiC power modules reduce conversion losses by nearly 50%, delivering an unprecedented 98% efficiency over a load range of 30-75, while maintaining the same performance specifications as the renowned G9000 Series UPS. For industrial-grade applications, Toshiba offers the 5000 Series 3P1 Solution in a three-phase power input and single-phase power output configuration. The Toshiba 3P1 Solution is designed to push the boundaries of UPS performance standards in petrochemical, oil, and gas refineries. The 3P1 Solution features an integrated Maintenance Bypass Cabinet, mimic panel for touchscreen, and plant-style alarm indicators. The Toshiba T1000 Series is a single-phase double conversion UPS that is designed for IT and retail installations. 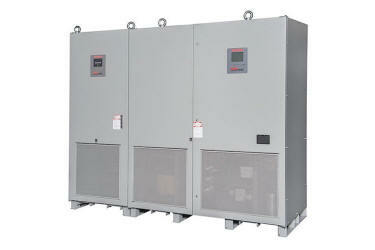 Features a 0.9 output power factor and is available in a range of sizes from 1 to 6kVA. The Toshiba 1000 Series single-phase Uninterruptible Power System is available in 1.5, 2.4, and 3kVA. This double-conversion, true online UPS is available in both tower and rack mount design solutions. The Toshiba TPX Series Uninterruptible Power System is an economical and reliable line-interactive sine wave UPS that offers full-featured power protection for small office computers and electronic equipment. Toshiba Uninterruptible Power Systems (UPS) offers an exceptional lineup of premium accessories ideal for further UPS customization. Options include matching battery cabinets, power distribution units and other cabinets for uniform installation. Additional accessories are featured below. Toshiba's RemotEye® 4 is the newest monitoring option for Toshiba UPS systems. The fourth generation UPS monitoring solution provides many features such as custom dashboards and universal communication protocols: Modbus TCP/RTU, BACnet IP/MSTP, SNMP, HTTP/S (web interface). Provide uniform appearance to installation and work with Valve-Regulated Lead Acid or Flooded-Cell battery backup. Available in floor or wall mounting configurations in two, three and four breaker configurations with optional kirk-key interlock systems and solenoid release. Internal 480/208V transformers and remote power panels available in a range of sizes and capacities for the three-phase systems. Color-matched tie cabinets synchronize and parallel the output of G9000 UPS to increase capacity up to 6000kVA. Provides single-operation G9000 UPSs with external maintenance bypass, step-down output transformer, and sub-feed breaker and/or 42-pole panel distribution in one compact uniform cabinet. 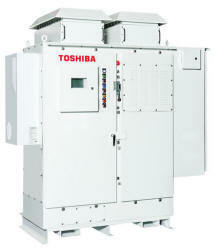 Toshiba UPS products are available with an annual service agreement or preventive maintenance agreement. These offerings cover the cost of mechanical breakdowns beyond the standard Toshiba warranty. Purchasing an added protection plan offers value, peace of mind, convenience and top-notch service. 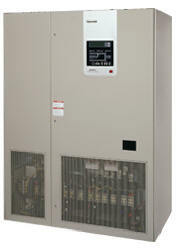 Annual maintenance is recommended to ensure maximum UPS reliability and performance. Toshiba offers a variety of preventive maintenance agreements that are designed to suit each system's needs. Preventive maintenance plans are available as individual packages and are included in the Platinum, Gold and Silver Annual Service Agreement plans.